DES KOHAN | GARLAND COLLECTION EVENT! As you all know, I’m the life of every party. I mean, you should have seen me in my Studio 54 days. (I may or may not have been a Factory Girl.) Anywhoo…Velvet rope? Please! I’m a VIP (Very Important Pooch). My “Aha Moment” happened at the Legends Ball. Right, Gayle? So, as the official, unofficial spokesdog of Garland Collection, I invite you to an event that rivals Woodstock. (Did you know that I invented the peace sign?) Free love all around…for decadent jewelry and stunning objects. 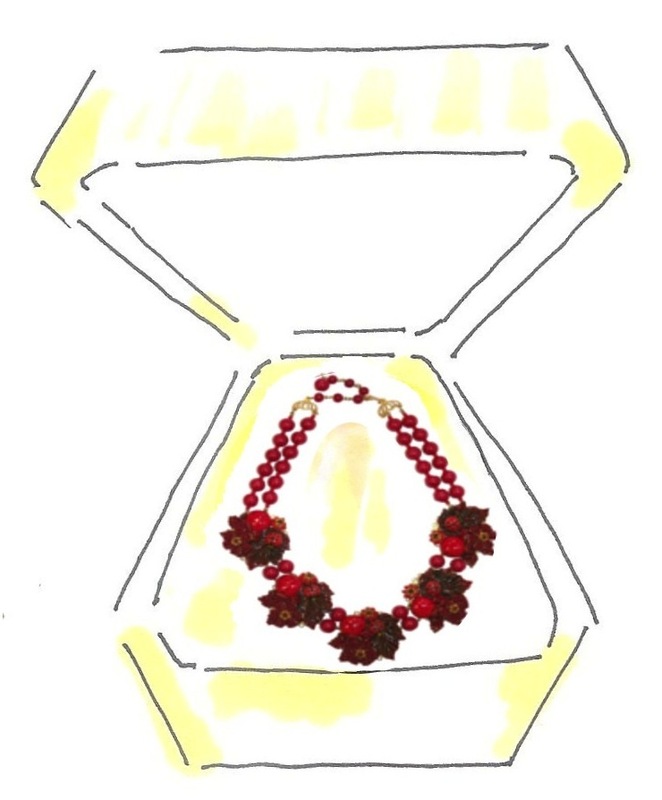 Just a friendly reminder: these jewels are vintage and often one-of-a-kind, so get ‘em while they’re haute. And don’t forget, whatever Lola wants, Lola gets and that arrow collar is mine! No matter how old I get, I always love the collegiate look. 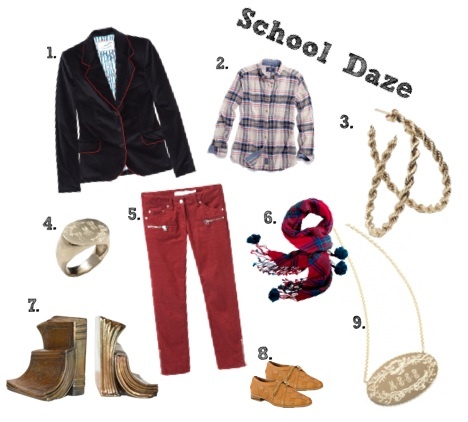 Flattering on everyone, blazers and signet rings just do it for me. 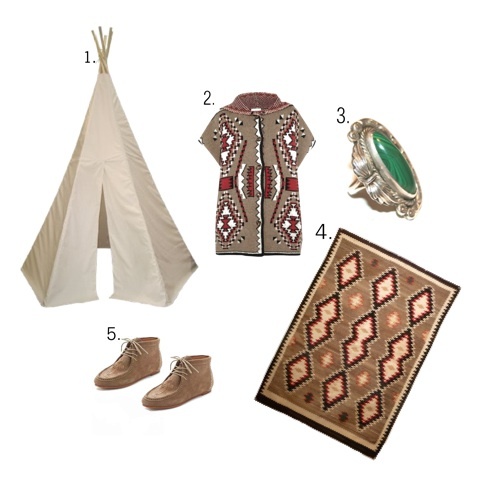 Plus, this time of year, a wardrobe of standout, transitional pieces for layering and accessorizing is an easy way to manage the finicky change of seasons. Oh, Lola! 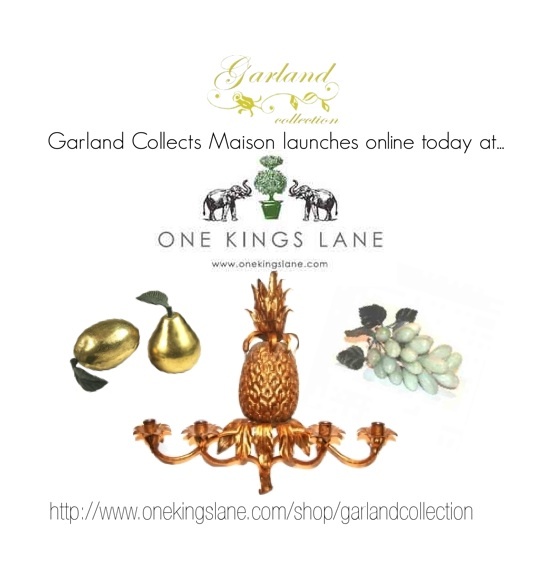 : Garland Collects Maison launches on One Kings Lane! 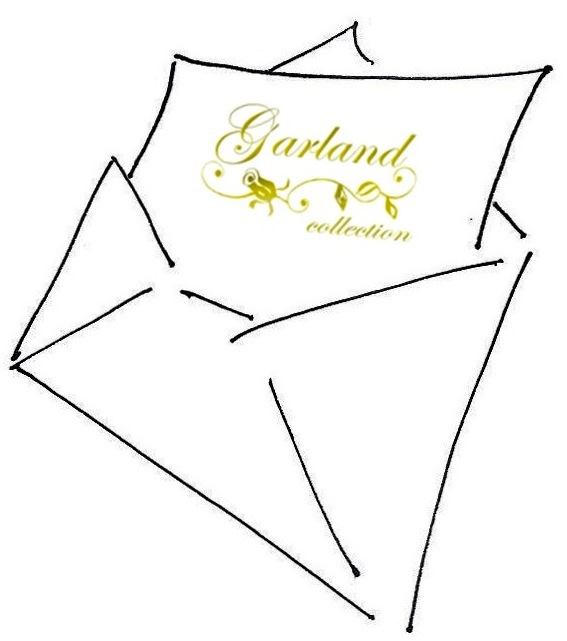 As the official, unofficial spokesdog for Garland Collection, I have news! Garland Collects Maison, Garland Collection’s carefully curated selection of vintage and antique home décor, serving pieces and custom designed pillows, will now offer a selection of stellar pieces on the fabulous site One Kings Lane (http://www.onekingslane.com/shop/garlandcollection). 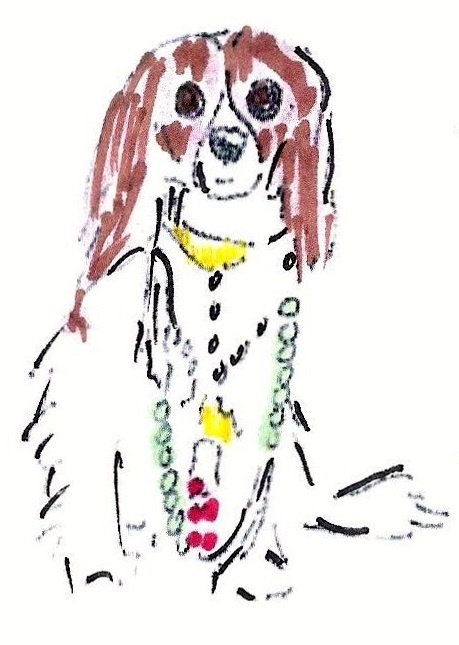 I’m a Cavalier King Charles Spaniel myself (Yes, I am the first female king – little’ ol me, just breakin’ boundaries), and as fellow royalty (Some people call me “The People’s Princess,” whatever that means), I can assure my faithful subjects that Garland’s carefully chosen pieces are sought after for the chicest cottages and swankiest castles…mine may or may not be somewhere in the vicinity of Gstaad. Found it on my semester abroad. So I’m giving you fair warning…whatever Lola wants, Lola gets…and that Pineapple Sconce is mine! P.S. The pieces are being rolled out slowly (I do love a red carpet! ), so check back often.